In the “Rukovoditel” program there is an integration mechanism with the LDAP, which allows creating new users and assigning them rights automatically. The domain administrator creates domain user groups that are allowed to register in the program and include AD user accounts in this group. The domain administrator creates domain user groups that correspond to the groups in the Rukovoditel, and includes a user account in the required domain groups. The user first logs into the program using LDAP, the program creates a new user account, fills the user information with data from the AD account, and places the user account in his access group. Use LDAP login only – this parameter is controlled by the variable CFG_USE_LDAP_LOGIN_ONLY from the server.php file. If this variable is true, only the passwords from the AD accounts can be used to login, otherwise both input options are possible. then only members of the RukovGroup domain group will be able to register, which is what the scenario requires. 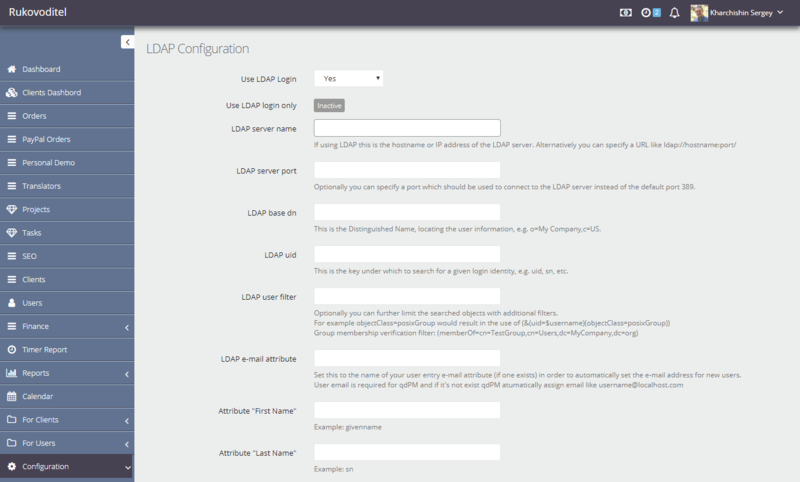 LDAP user dn, LDAP password – login and password for the user to connect to AD. After these settings, new users will be able to register in the program, now you need to configure the conditions for joining access groups. Thus, if the user account is in the domain group “client”, his account in the program will be placed in the group” Client ” and so on. The filters are checked before the first match. 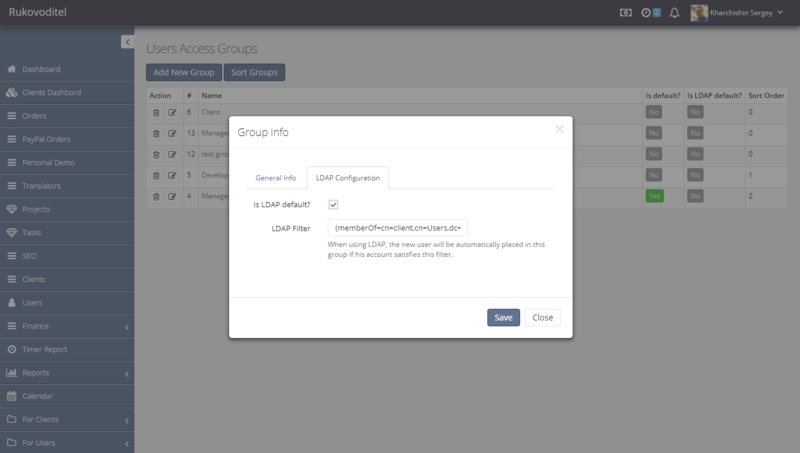 If none of the filters match or are not set, the user account will be placed in the group that has the “is LDAP default” flag. To view the attributes of accounts in AD, you can use for example a free program Active Directory Explorer.